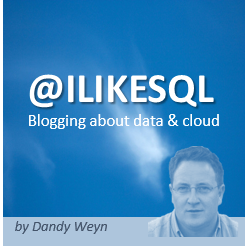 This post is authored by Alan Yu, Program Manager, SQL Server. We are excited to announce the release of SQL Server Management Studio (SSMS) 17.5! Download SSMS 17.5 and review the Release Notes to get started. SSMS 17.5 provides support for almost all feature areas on SQL Server 2008 through the latest SQL Server 2017, which is now generally available. Data Discovery and Classification is a new feature for discovering, classifying, labeling and reporting sensitive data in your databases. Query Editor now has support for a SkipsRows option for the Delimited Text External File Format for Azure SQL Data Warehouse. Showplan has enabled the display of estimated plan button for SQL Data Warehouse. SSMS 17.5 also includes key bug fixes to Showplan, Query Editor, SMO, and Templates, which can be found in the Release Notes. SQL Data Discovery and Classification introduces a new tool built into SQL Server Management Studio (SSMS) for discovering, classifying, labeling and reporting the sensitive data in your databases. https://powerbi.microsoft.com/en-us/blog/sessions-for-data-bi-summit-now-available/Source: https://powerbi.microsoft.com/en-us/blog/sessions-for-data-bi-summit-now-available/ Data & BI Summit, held in Dublin, Ireland 24-26 April is quickly approaching – plan your schedule today, sessions details are now available. https://powerbi.microsoft.com/en-us/blog/announcing-the-power-bi-usage-metrics-solution-template/Source: https://powerbi.microsoft.com/en-us/blog/announcing-the-power-bi-usage-metrics-solution-template/ Today, we want to highlight one of the newest solution templates available on AppSource, the new Power BI Usage Metrics Solution Template, built by our partner Neal Analytics. Aging hardware was not keeping up with stability and scale requirements. There was an increase in high severity data-tier incidents and no database administrator on staff to help with troubleshooting, mitigation, root cause analysis and ongoing maintenance. MSAsset’s database ran on SQL Server 2012. Developers and internal customers were increasingly requesting access to new SQL Server functionality. We are pleased to announce that Azure Active Directory (Azure AD) is integrated with Spring Security to secure your Java web applications. With only few lines of configurations, you can wire up enterprise grade authentication and authorization for your Spring Boot project. With Spring Boot Starter for Azure AD, Java developers now can get started quickly to build the authentication workflow for a web application that uses Azure AD and OAuth 2.0 to secure its back end. It also enables developers to create a role based authorization workflow for a Web API secured by Azure AD with the power of the Spring Security. Take the To-do App, which Erich Gamma showed on SpringOne 2017, as an example. The sample is composed of two layers: Angular JS client and Spring Boot RESTful web service. It illustrates the flow to login and retrieves user’s information using AAD Graph API. Login with credentials and get validated through Azure AD. Retrieve token and membership information from Azure AD Graph API. Evaluate the membership for role-based authorization. Preview of Log Alerts feature for Application Insights – You can now create alerts that automatically run log queries at regular intervals from Azure Log Analytics and Application Insights. If the results of the log query match particular criteria, it will create an alert record and automatically run one or more actions to proactively notify you of the alert, or invoke another process, such as running runbooks using Action Groups.